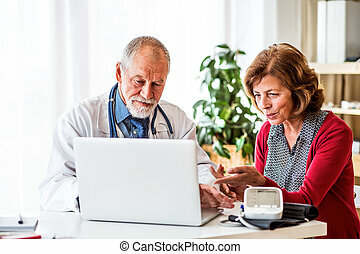 Doctor with laptop talking to a senior woman in office. 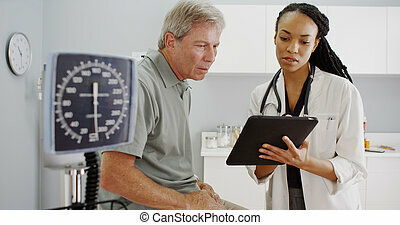 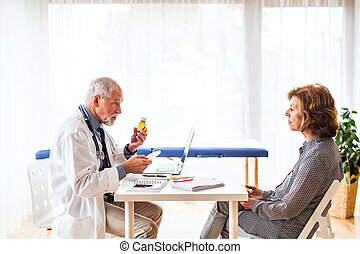 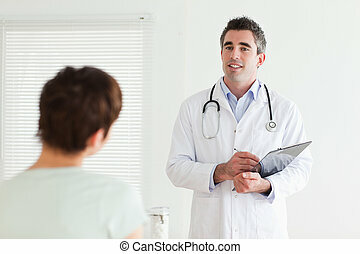 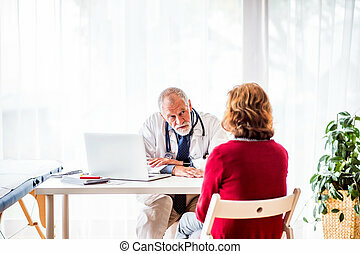 Male doctor with laptop talking to a senior woman in his office. 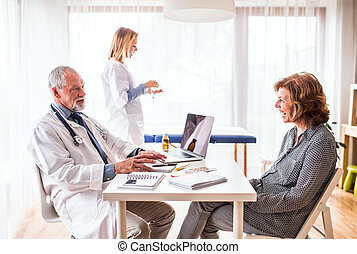 Doctor With Laptop Talking To A Senior Woman In Office. 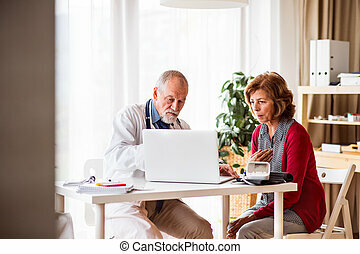 Male doctor with laptop talking to a senior woman in his office. 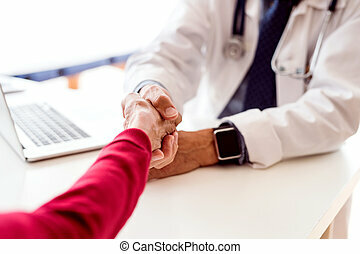 Male doctor with laptop and a senior woman in his office, shaking hands. 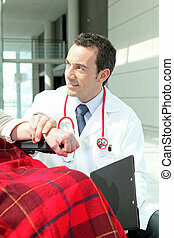 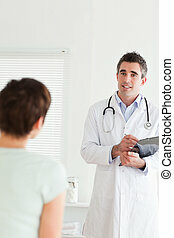 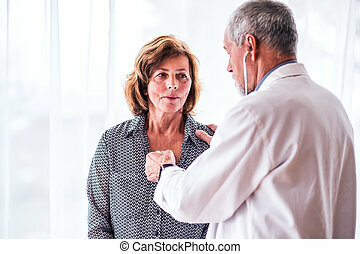 Male doctor examiming a senior woman with stethoscope in his office. 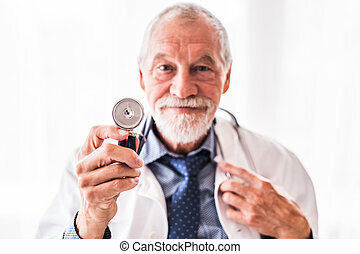 Portrait of a senior doctor with stethoscope in his office. 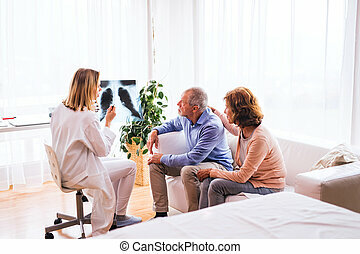 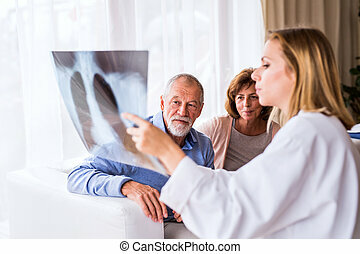 Female doctor with x-ray talking to a senior couple at the office. 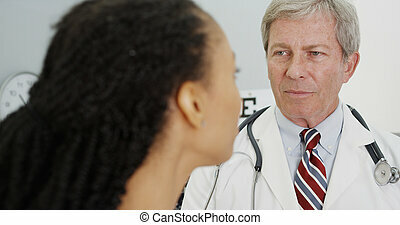 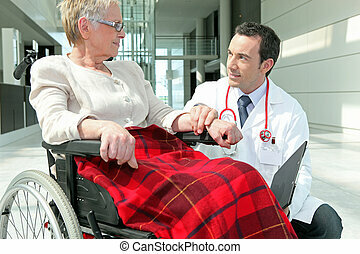 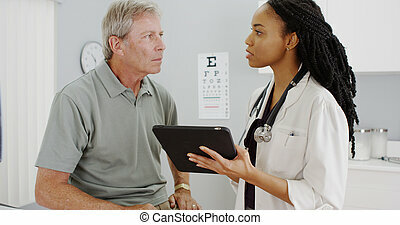 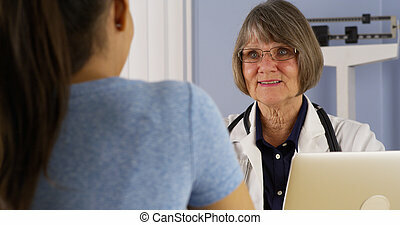 Senior doctor examining a senior woman. 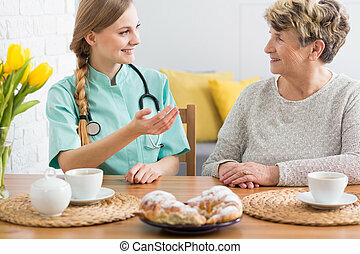 A nurse in the background. 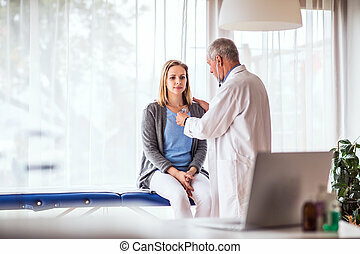 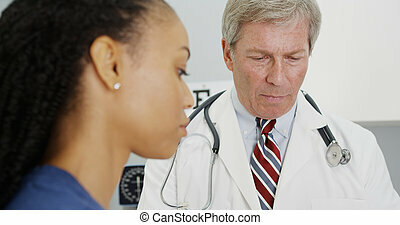 Senior doctor with stethoscope examining a young woman. 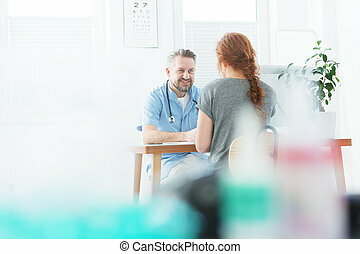 A doctor and a patient at the doctors office. 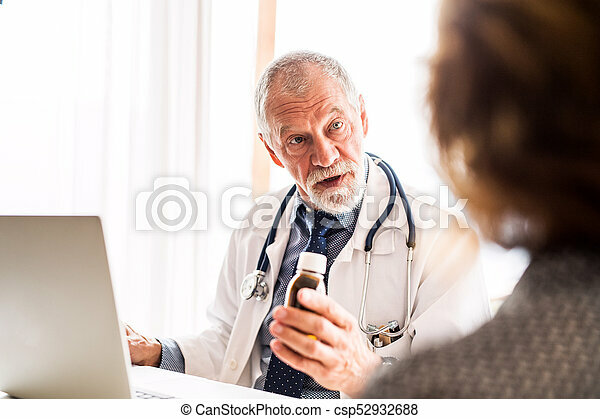 Senior doctor in his office. 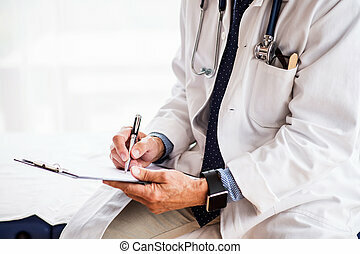 Male doctor with smartwatch making notes. 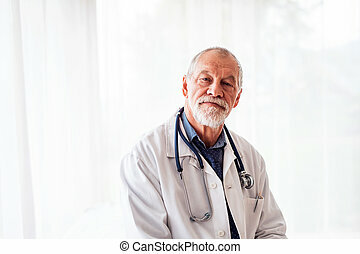 Unrecognizable senior doctor in his office. 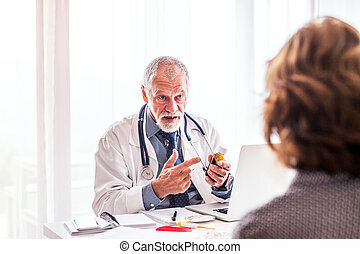 Male doctor with smartwatch making notes. 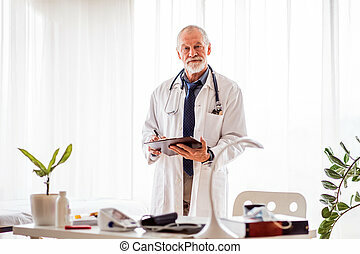 Portrait of a senior doctor in his office. 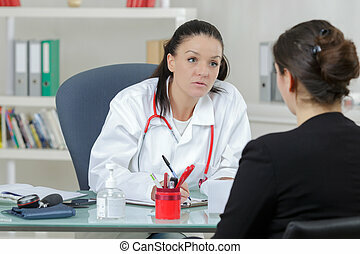 A senior counselor with clipboard talking to a young woman during group therapy. 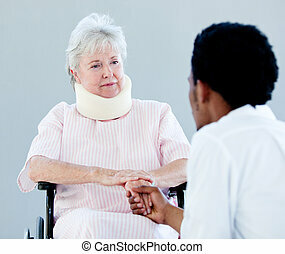 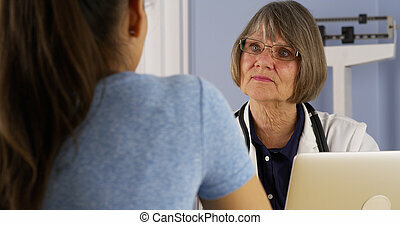 A senior counsellor with clipboard talking to a young woman during group therapy. 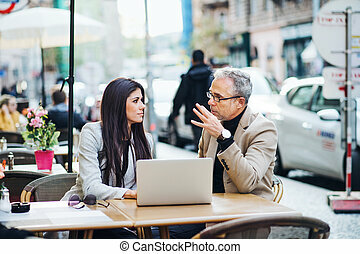 Man and woman business partners with laptop and smartphone sitting in a cafe in city, talking. 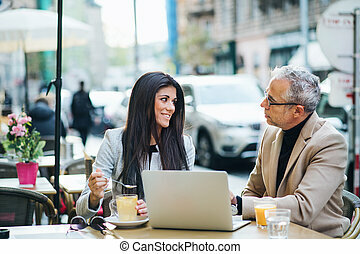 Man and unrecognizable woman business partners with laptop sitting in a crowded cafe in city, talking. 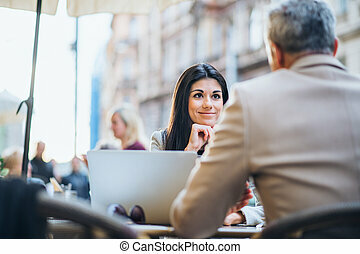 Man and woman business partners with laptop and drinks sitting in a cafe in city, talking. 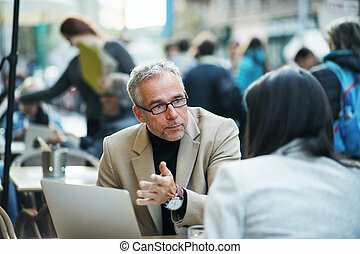 Man and woman business partners with laptop sitting in a cafe in city, discussing issues. 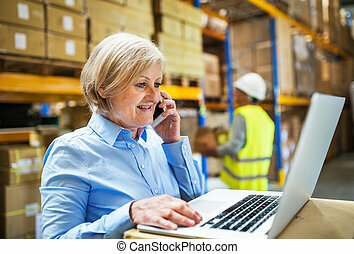 Senior woman manager with laptop and smartphone and man worker working in a warehouse. 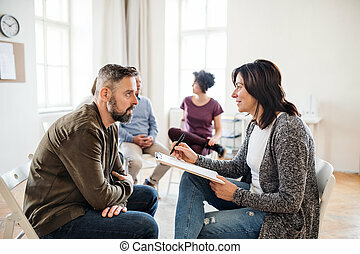 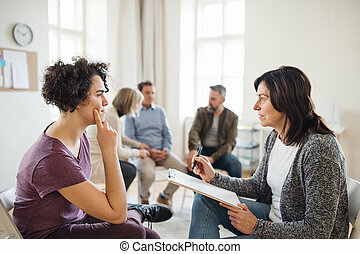 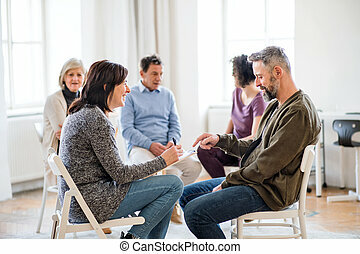 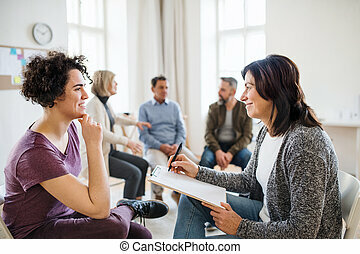 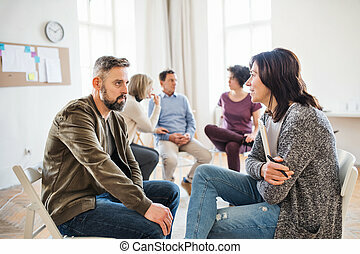 A senior counselor with clipboard talking to a man during group therapy. 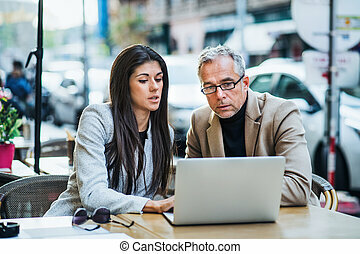 Man and woman business partners with tablet standing on a terrace in office in city, talking.